Margaret’s books focus on health and wellbeing, inspiration and motivation and social issues. 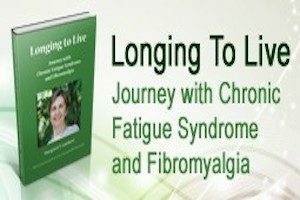 Margaret’s first book Longing to Live: Journey with Chronic Fatigue Syndrome and Fibromyalgia received an Honourable Mention in the London Book Festival 2013. Her second book Longing to Live Mindfully: Little Words that make a Difference was published in 2016. This book shares the inner struggle of living with CFS and Fibromyalgia as well as holistic approaches for healing. Living with a chronic illness is life changing, and if you have picked up this book to read, you are probably suffering with fatigue and pain, or you care about someone who is chronically affected in this way, and you have a desire to understand more about your loved one’s condition. This book shares the inside story of the journey with Chronic Fatigue Syndrome (CFS) / Fibromyalgia (FM), and the constant longing to live with vitality and purpose. It is hoped that through sharing my story, with its struggles and insights, others may feel empowered in their own journey of chronic illness. This is not a book filled with detailed medical explanation about (CFS) and (FM): that is best left to the medical experts and researchers in the field, and many excellent professional sources are provided herein. The explanations of the conditions CFS/FM provided in this book are presented for understanding by lay people, patients like myself and compassionate carers and friends who wish to comprehend the impact of the condition and treatments, from a living / social perspective. Through the personal journey, Longing to Live presents an authentic story of living with a debilitative illness. Though the battles are many, the blessings are bountiful if we remain open to them, and it is in honouring the complete story of our lives that we become centred and real. It was the morning of Christmas Day, 1992 that I could not get out of bed. I was 37 years old and my body had collapsed. A couple of months later, after a multitude of tests, I was diagnosed with a condition that I had never heard of, Chronic Fatigue Syndrome (CFS). As the years rolled on and I researched more and more about this fatigue and pain-based illness that had taken its toll on my life, I learned another term, Fibromyalgia (FM). I learned that this term was generally interwoven with articles on CFS and I discovered that the two conditions are often referred to as the same illness. Whilst there may be varying medical opinion on the relationship between the two conditions, it is generally agreed that symptoms are very similar in both CFS and FM, with the primary symptom of CFS being overwhelming fatigue and the primary symptoms of FM being body aches and pain. It may be however, that many patients switch between these most prominent symptoms on any particular day, and as such, identify with the combined set of symptoms for both CFS and FM (CFS/FM). Almost twenty years after my diagnosis, there is still no cure for CFS/FM and there is no universal treatment. It seems that each person must discover the treatment regimes that alleviate their symptoms and assist them to manage living with chronic illness and significant limitation. It is largely through the journeys of others that we learn a variety of methods for nurturing ourselves in body, mind and spirit. I have gained so much through the stories of others, in the course of my work, among my friends and through contacts forged as a result of personal research and modern social networking interactions. As a result of others sharing their personal experiences of hardship and searching, my eyes have been opened to healing methods and techniques that I otherwise would never have considered. The many stories of resilience and courage in persisting with the quest for better health, engender both inspiration and hope for myself and others who live with CFS/FM. I pay tribute to these people and in turn, I pass on my own story, with its search and discovery of an array of treatments and self-care methods that have assisted me in living with chronic fatigue and pain. Longing to Live is presented not only as my own story but with the acknowledgement and gratitude of the many others who have touched my life and given rise to the collective wisdom within. The views presented in this book are my own, unless otherwise acknowledged, with my personal understandings and insights gained from my perspectives as a person living with CFS/FM and as a practising Psychologist working with others. To those of you who continue to search for relief from symptoms and are trying to understand how to live with CFS/FM and make sense of your illness, I hope you will gain benefit from this book, that you will feel empowered in facing the reality of your illness, and feel affirmed that you are not crazy, that it is not “all in your head”, a figment of your imagination, or indicative that you are lazy and disinterested in life. My hope is that you will continue to explore treatments and methods that heal and nurture your body and spirit, and draw people into your life who believe in you, encourage you and can just be with you.